For more than 30 years, Parenting Journey has been focused on partnering with parents to build stronger families by developing the inner strengths, life skills, and networks of resources they need to succeed. With our headquarters in Massachusetts and a satellite office in New York, we are poised to implement our programs for agencies, service organizations, and medical facilities nationwide. 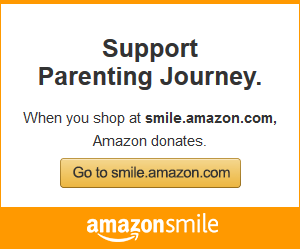 Many organizations offer support programs for parents, but Parenting Journey’s programs are unique. While learning about child development and how best to discipline one’s child are critical elements in raising a child, many parents and caregivers are often best served by first taking a step back and reflecting on experiences from their own childhood before they begin to develop concrete goals for improving their relationship with their own children. Parenting Journey programs are more than “how to” classes. They are opportunities for parents to develop themselves as nurtured and nurturing people, capable of making responsible and informed choices in raising their children. A positive, strengths-based approach – Although parents might not yet have the relationship with their children that they would like, together we identify and build on their strengths to develop a loving yet firm style of parenting based on mutual respect and love. Self-reflection – Parenting is an art to be learned, yet many parents aspire to raise their children in a different manner from how they themselves were raised. Our programs invite participants to reflect on their own family history, to identify unhealthy practices they may have learned growing up or experienced as children, and then to break those habits, providing an opportunity to start fresh and create a new, strong family foundation on which to build. A unique, evidence-informed curriculum – Our evidence-informed programs have been developed to meet the specific needs of the parents and caregivers we serve and are aligned with the Strengthening Families Protective Factors Framework, as well as state and local guidelines in Massachusetts, New York, and beyond; an independent, third-party evaluation has shown our programs to be effective, with statistically significant results. Respect, equality, and diversity – Parenting Journey programs serve individuals from many different economic, social, and cultural backgrounds. We promote honor and respect for and among our clients, and we offer programs in four languages (English, Spanish, Portuguese, and Haitian-Creole) to best serve our families. Nurturing of parent and child – All programs begin with a healthy, nurturing meal, and onsite childcare is provided to parents. We focus on reducing obstacles and creating a welcoming, enjoyable environment for all program participants. Leading by example – Program facilitators will not ask anything of their group members without first answering the question themselves. Our trainers practice active listening and active participation, which helps to build trust and mutual respect.